Ruth Pelzer-Montada is an artist and lecturer in Visual Culture in the School of Art, Edinburgh College of Art, The University of Edinburgh, in Scotland. She has participated in a number of exhibitions, both in Scotland and abroad, and from 2004 to 2007 was a member of the council of the Scottish Society of Artists (SSA). Her solo print-installation Schnörkeleien was shown in the Talbot-Rice Gallery, Edinburgh, in 2007. She has actively participated in most IMPACT conferences. 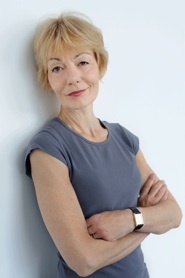 Her essays on contemporary printmaking and the relationship between theory and art practice have appeared in Contemporary Impressions, Art Journal, Visual Culture in Britain, Journal of Visual Art Practice, Norwegian print journal Rapport and on the printmaking web site Printeresting [http://preview.tinyurl.com/lnmtxg]. In 2008 she participated in Paul Coldwell and Barbara Rauch’s Symposium The Personalised Surface, New Approaches to Digital Printmaking at the Victoria and Albert Museum in London. In 2009 she completed her PhD (Title: Poetics of Repetition: Theory and Practice in/of Printmaking). She is currently external examiner for Printmaking at the National College of Art and Design in Dublin and in January 2011 curated a show for Black Print Studio Dublin Draw the Line at Monstertruck Gallery. My paper aims to present reflections for debate on the interrelationship between drawing and print in the contemporary art context rather than in historical terms. In particular it asks how the changes in drawing and printmaking which are summed up by the notion of an 'expanded practice' have brought these two areas into closer proximity. By focusing on three works by Kiki Smith, Christiane Baumgartner and Oscar Mu§oz, shown at the 2009/10 Philagrafika International Print Triennal in Philadelphia, the paper engages with the effect of the implicit and explicit decoupling of the hand as a primary tool and signifier of drawing through the adoption of print- and/or camera-based strategies. To which extent does the expansion of techniques and, indeed, technologies change and challenge the discourse on drawing with its focus on trace, mark, gesture? How do such approaches question the assumed immediacy and directness of drawing as well as its proximity to the body? What are the implications of such strategies and techniques for the subjectivity of the maker and viewer as well as signification as such? In which way does the incorporation of circuitous print techniques and the adoption of camera images function at the level of image and meaning? In what manner do they reinforce as well as cast doubt on medium-specific assumptions and effects? (Where) do we draw the line (between drawing and print)?